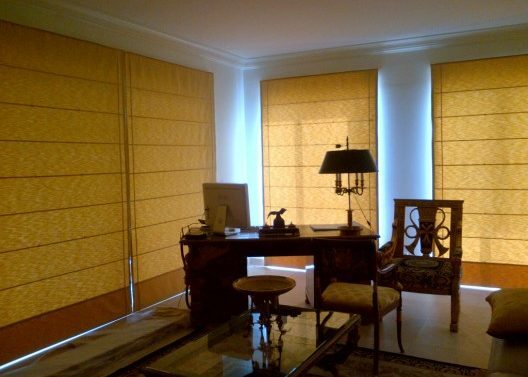 Roman shades can be made with any fabric including unique sea grass and bamboo materials. 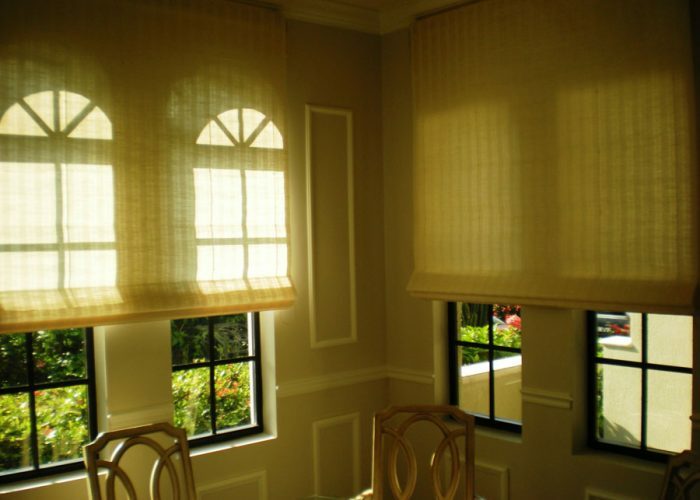 These shades look great especially with their perfectly folded sections and can be lined with blackout or cotton fabric. 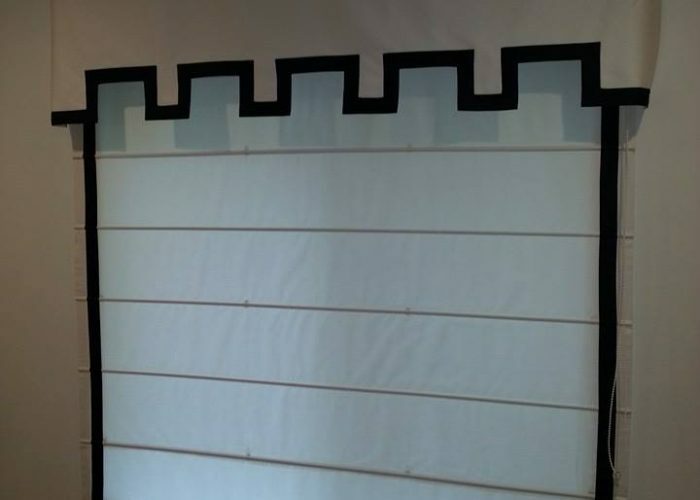 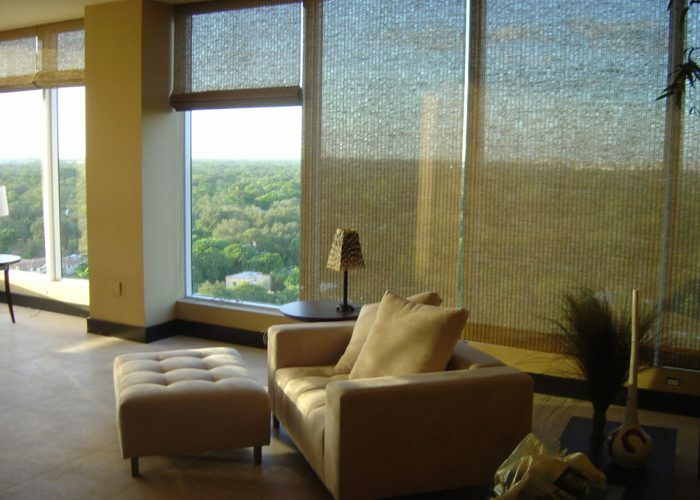 We usually recommend to mount our Roman shades outside the frame of the window to create an elegant look.